There is a decidedly deist flavor to the American founding. Deism holds that God or, “the Creator,” is like a watchmaker who makes his creation, winds it up, and then interferes no more. Some of the Founders were indeed deists, and many more were influenced by deism. And, in a sense, they did set up the machinery of liberty and then got out of the way. The Americans rejected the perfectibility of man, believing the best government could do was take man’s nature into account and channel it toward productive ends. One of my favorite illustrations of how this is as much a cultural disagreement as a philosophical one can be found in the differences between French and English gardens. For instance, the French gardens at Versailles, with their ornate, geometric, nature-defying designs, illustrate how the gardener imposes his vision on nature. Nature is brought to heel by reason. The classic English garden, on the other hand, was intended to let nature take its course, to let each bush, tree, and vegetable achieve its own ideal nature. The role of the English gardener was to protect his garden by weeding it, maintaining fences, and being ever watchful for predators and poachers. – Goldberg, Jonah. 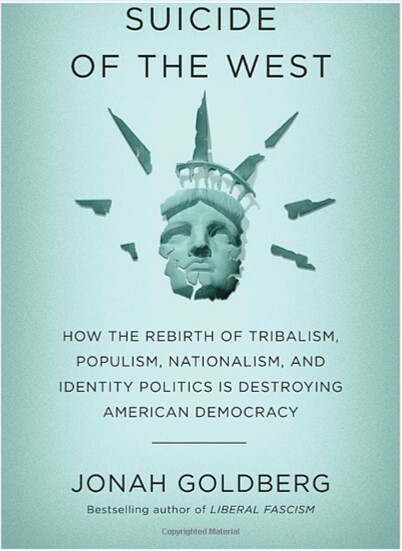 Suicide of the West: How the Rebirth of Tribalism, Populism, Nationalism, and Identity Politics is Destroying American Democracy (Kindle Locations 2814-2848). The Crown Publishing Group. Kindle Edition. « Are the Natural Sciences More Open Minded than the Humanities?